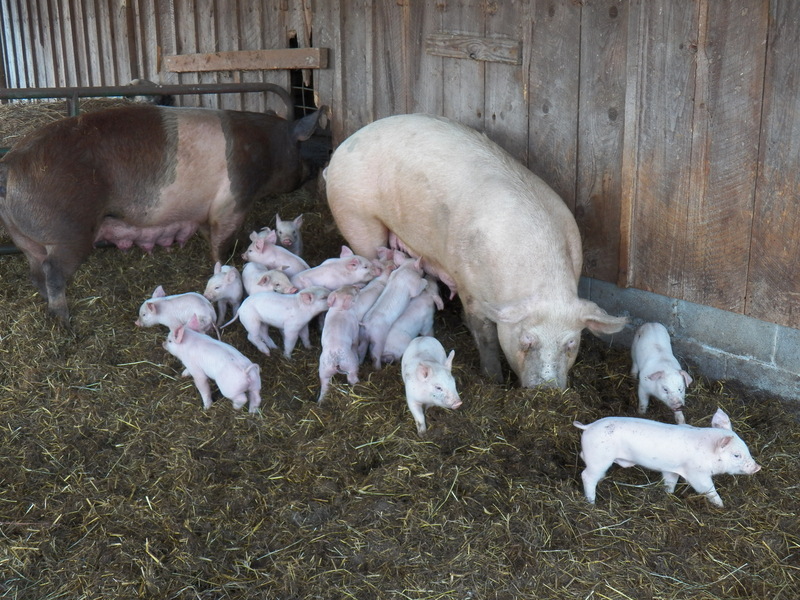 Yesterday, we put two sows and their babies together. The semi-outdoor space is a good place for them to live. They get sunshine and fresh air in a large covered pen. The piglets get to roam all over our feedlot and an adjoining paddock. They have much to explore while being kept out of harm’s way. The two mothers are friends, but where family is concerned, you just never know! This meeting went very well. The two moms remembered each other and were soon grunting their approval of one another. The babies were very happy to meet each other. It wasn’t long after that until all the little ones were fast asleep in the straw. I can say that the introduction is complete. So adorable! Please keep posting photos of the animals!